As INEC is yet to declare the winner of the just concluded governorship election in Osun State, there are reports that the electoral umpire will declare the election inconclusive and fixes date for re-run. 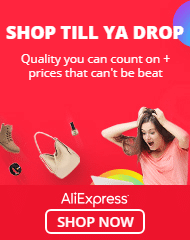 From the results announced so far by INEC, Ademola Adeleke of the Peoples Democratic Party, PDP is leading with 251, 283 votes, followed closely by Gboyega Oyetola of the All Progressives Congress, APC, with 247, 867 votes. Iyiola Omisore of the Social Democratic Party, SDP, is third with 121, 551 votes. From the results PDP candidate is leading with 3,418 margin. However, according to reports, the electoral act stipulates that there will be a runoff if the number of canceled votes is more than the number of victory margin. 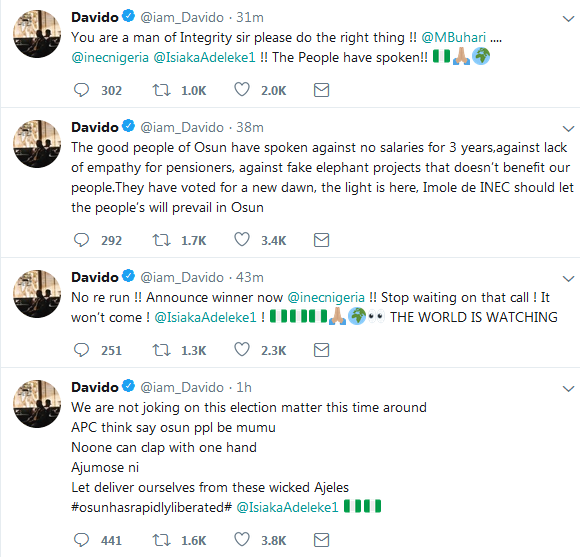 Music star, Davido (real name David Adeleke), who is nephew to the leading candidate, Ademola Adeleke, has taken to social media to mount pressure on INEC to declare the winner of the election. Davido alleges that there’s a plot to manipulate the election results.